Social environments can influence diverse aspects of animal behavior. In reproductive activity, females may adjust their pre-mating preference for males and their post-mating investment in offspring according to the social environment and thus maximize their fitness, and how these two adjustments interact may significantly impact a male’s fitness. But such adjustments may also depend on intrinsic factors, such as age or condition, implying that both should be considered to reliably estimate the strength and direction of sexual selection. We investigated the impact of plasticity in female pre- and post-mating behaviors on male reproductive success at two age points, using a population of the flightless bush cricket Ephippiger diurnus (Orthoptera: Tettigoniidae), a long-lived and multiply-mating chorusing insect. We reared females in different social environments, each represented by an array of male signals with a certain attractiveness, and tested the females’ reproductive behavior over adult life and its repeatability across years. We found that variation in the social environment influenced both mate preference and egg investment, and that these adjustments were repeatable across the two ages tested. 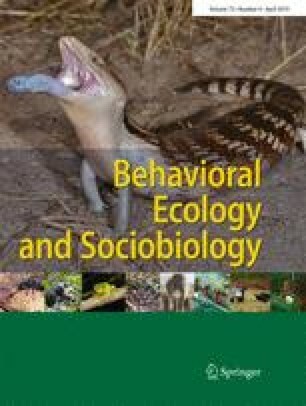 Specifically, females reared with attractive mates were more selective and invested more in eggs whereas females reared with unattractive mates laid fewer eggs. That is, plasticity in egg investment reinforced female pre-mating preferences across social environments, resulting in a threefold difference in the reproductive success of unattractive versus attractive males. Our results thus demonstrate how plasticity in female behaviors can play a major role in driving an evolutionary process. Animals often adjust their behavior to information provided by the social environment in order to maximize their fitness. In reproduction, females may use that information to adjust their pre-mating preference for males and their post-mating investment in offspring. Many studies document these adjustments independently, but the two may interact in a way that can drastically influence a male’s reproductive success. Using the bush cricket Ephippiger diurnus, we show that variation in the social environment influences both female pre- and post-mating traits such that they reinforce one another: females increase oviposition when attractive males are present and decrease oviposition when unattractive males are present in their environment. These adjustments resulted in up to a threefold difference in the total reproductive success of attractive and unattractive males. Our results thus highlight how plasticity in female behaviors can dictate evolutionary processes. We thank C. Maurin for the assistance in animal collection and husbandry, M. Deluen and C. Hebert for their help with animal husbandry and data collection, and K. Ratzlaff for the construction of the amplifier. This work was funded by a Fondation Fyssen Postdoctoral Fellowship to DR, a National Science Foundation Biology Postdoctoral Fellowship FY 2012 (Award ID 1202761) to FB, and the Agence Nationale de la Recherche de France (contrat ANR-11-BSV7-025-01) to MDG.